Mrs. Beauty P. Baldwin is a native of Baldwin County, Georgia. She is a graduate of Savannah State College with a Bachelor of Science Degree in Mathematics. She also has a Masters Degree and Specialist Degree in Administration and Supervision from the University of Georgia. Her educational experiences includes teaching Mathematics in Schley, Muscogee, and Gwinnett Counties. She served as a Coordinated Vocational Academics Education Coordinator and Assistant Principal at Central Gwinnett High School in Lawrenceville, GA. She was Principal of Buford Middle School and in June of 1984 was appointed Superintendent of Buford City Schools making her the first Black female school superintendent in the state of Georgia. Mrs. Baldwin retired as Superintendent of Buford City Schools in June 1994. In 1997, she helped to establish Hopewell Christian Academy where she was administrator for 16 years. In June 2014 she founded North Metro Academy of Performing Arts, a Gwinnett County Charter where she serves as Board Chairman. She is involved in many community service organizations. She is a long time member of the Gwinnett Chamber of Commerce and has served several terms on its board. She has received the Chambers “Public Service Award and its “Athena” Award. Presently she is on the Gwinnett County Board of Registrations and Elections, the View Point Community Service Board, the Jackson Election Foundation Board, where she serves as Chairman, and a founding member of Leadership Gwinnett. 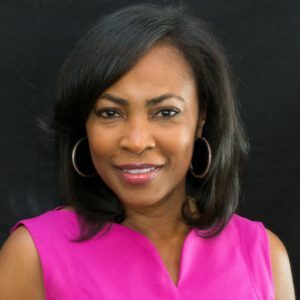 She is a member of the Executive Board of the Northeast Council of Boy Scouts of America serving as Vice President of Multicultural Markets. In August of 2016, Gwinnett County Public Schools Board of Education honored her by naming the new elementary school in Norcross “Baldwin Elementary School”. 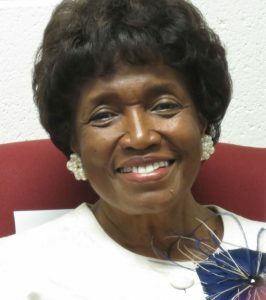 Mrs. Baldwin is a lifetime member of the Savannah State University Alumni Association and a lifetime member of Alpha Kappa Alpha Sorority, Incorporated. A member of Hopewell Missionary Baptist Church of Norcross where she serves as Elder, member of Deaconess Ministry, Shepherd’s Care Ministry and a member of the Finance Committee. Erik is an attorney, mediator, and community leader. His legal practice specifically focuses on housing issues in the neighborhoods on Atlanta’s Westside. Prior to becoming an attorney, Erik spent 15 years in the financial services sector, where, most recently he was a Senior Fraud Investigator with SunTrust Bank. His banking career includes time spent in Mortgage Sales, Branch Management, Bank Operations, and Corporate Training. Erik earned his Juris Doctor from Atlanta’s John Marshall Law School. Where, among other things, he was awarded the Outstanding Graduate Award and the Renata Turner Public Interest Scholarship. Erik has a BS in Marketing, and an MBA with a concentration in Management. 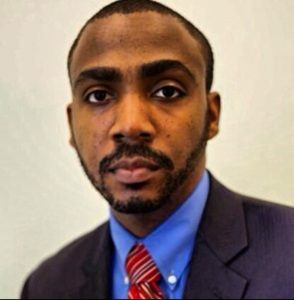 He is a 2017 graduate of Leadership Gwinnett, a 2015 Fellow of the New Leaders Council, and a member of Alpha Phi Alpha Fraternity Incorporated. He resides in Lawrenceville, GA with his wife and 4 children. With four distinct tours of duty during his eight decades on this earth, LC Johnson has brought a world of experience to the county he calls home. LC spent his earliest years, his first tour of duty, as the son of cotton farmers in southern Mississippi. 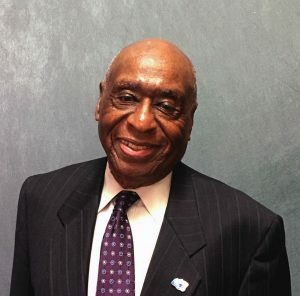 He responded to the rumblings of the early civil rights movement and heeded the advice of many of the elders in his life by joining the military. After twenty years learning how to manage goods, services, and, most importantly, people, LC retired an Air Force Master Sergeant. Following his military service, LC entered his next tour of duty in education. Applying the principles of good management learned in the military, LC gained notoriety as a no-nonsense educational leader. He earned his doctorate in management while turning troubled schools around by engaging the surrounding communities to take ownership in the offerings and outcomes of the student body. In this, his eighty-first year, LC Johnson still enjoys the conversations upon which he has built a legacy. Starting with humble beginnings, touring the world, changing the face of education, and now, pressing a diverse county to embrace its best resource – the people, LC has no plans to stop holding life-changing conversations. He invites you to try new conversations every day. It might just be the secret to a long and happy life. Carolyn M. Collins professional career began with the American Cancer Society, first in South Georgia, then Atlanta where she served as Director of the downtown Atlanta City ACS Unit. After leaving the ACS in 1984, she created Corporate Connections, Inc., a consulting organization that worked with leaders in corporations to create or find programs for the development of their organizations’ managers. Carolyn was on the team that created Leadership Gwinnett in the early 1980s and served on the Leadership Gwinnett Board of Directors. Carolyn served as the Director of Advancing Authentic Leadership, an organization she helped create in 1993. AAL is a nineteen week (2 1/2 hours per week) designed to help individuals find and expand their strengths and learn to be more aware of and help build the strengths of those around them. Her experience has included organizing and leading leadership teams, in corporate and non-profit organizations. Her focus has been on developing programs that address the real needs of the people and the organization; facilitating vision development workshops; designing and leading small group sessions that build community, promote courage, and increase authentic communication. Carolyn has an undergraduate degree in Sociology from Valdosta University, and a Masters in Adult Education from the University of Georgia. She has been an active member of Rotary, an international organization dedicated to Service Above Self, since 1987. Twan L. Leonard, CPA, is the owner of Accounting and Tax Services in Stone Mountain, Georgia. Established in 2003, the company provides accounting, audit preparation and tax services for individuals, small businesses, nonprofits, and government entities. With six years of audit experience, Twan served as an audit manager for corporate and government clients. Twan has a Bachelor of Science in Accounting from Auburn University and a Master of Professional Accountancy from Georgia State University. She is a member of the Georgia Society of CPAs and the National Association of Black Accountants. Twan is a life member of Alpha Kappa Alpha Sorority, Inc. She currently serves as the Treasurer of the Gwinnett Pearls of Service Foundation, Inc., the nonprofit organization associated with Upsilon Alpha Omega. Twan and her husband Patrick are the proud parents of two wonderful sons. In her spare time, she enjoys playing tennis, hiking, and reading. 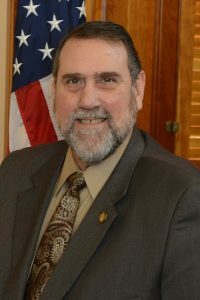 Rep. Pedro Marin has honorably served House District 96 in the Georgia General Assembly for the past fifteen years. He has been at the forefront in stopping gang violence, eradicating gang graffiti, and supporting economic development initiatives for Gwinnett County and Georgia. He currently serves on the House Banks & Banking, Economic Development & Tourism, Industry & Labor and Science & Technology Committees. Rep. Marin has created a reputation as an elected official dedicated to being a voice for justice, opportunity, and equality for all people. Upon moving to Gwinnett County, Rep. Marin immediately recognized a need to build relationships between community and government leaders and the emerging diverse communities in metro Atlanta. He has facilitated countless intercultural relation programs to educate people about minorities, which has been critical in discrediting stereotypes, erasing ignorance, and easing tensions that arise when people are adverse to change. Rep. Marin has also led numerous community organizing efforts to register voters, protect minorities from unfair treatment, and raise awareness about health & educational disparities. He has worked hard to improve relations between Gwinnett County government and the Immigrant community by serving as an advisor and intermediary. Rep. Marin possesses over 35 years of executive experience in both the private and non-profit sector plus 15 years as a Public Servant. He was born and raised in San Juan, Puerto Rico and while working for Persol, North America he was transferred in 1995 to Gwinnett County, GA. He has been happily married to his wife, Nereida, for 35 years. Nancy Ngwa is a supply chain and operations management professional with more than 12 years of experience in supply chain management, logistics, sourcing and operations. She specializes in cost reduction, transportation, and personnel development. Nancy is the owner of Chez TRendi, an online clothing boutique that launched in 2017. Nancy was born in Batoké, Cameroon and raised in Arlington, Texas. 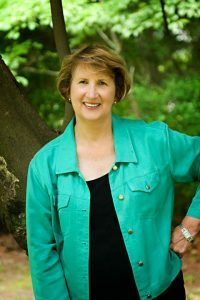 A graduate of Mansfield high school, Nancy attended Texas A&M University in Corpus Christi, Texas where she earned a Bachelor of Business Administration in Business Management. Post-graduation, Nancy worked as a District Operations Manager for Waffle House in metro Atlanta and would later work as a Supply Chain Supervisor for Hitachi Power Tools. It was during her time at Hitachi that she earned her Master of Business Administration from Texas A&M University – Commerce. Nancy is the mother of a 2nd grade son at North Metro Academy of Performing Arts. In her spare time, she enjoys spending time with family and friends, styling clients, interior décor, and writing. Please visit the link below to access our public Board Meeting Site to access agendas and board minutes.